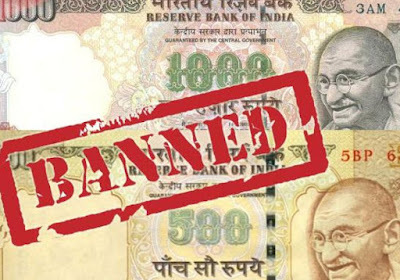 The sudden demise of high value currency notes of Rs 500 and Rs 1000 denomination on the fateful night of 8th November has been the cruelest blow on the shadow economy of our country. The bold announcement was like a massive earthquake or a high magnitude upheaval for the black money hoarders. This economic surgical strike was the greatest combing operation in the financial history of India. Yesterday, an idea occurred to my mind that we can draw some valuable life lessons from this demonetization process. I felt that many time-tested adages, maxims and proverbs, which people had thrown in the dustbin, have once again fired the imagination of the public. Here are some of the sayings which have regained value, meaning and relevance in the contemporary scenario. 1. Honesty is the best policy – Once again, people are convinced of the truth of this dictum. Those, who have earned money through rightful means, are the happiest persons on the earth. There is a glow of pride on their faces. Even if, they are facing a lot of trouble in the long queues, they feel that they are making an offering in the Mahayana of honesty, integrity and credibility. Dishonest people are passing sleepless nights in planning to dispose off their ill-gotten wealth in different unscrupulous ways. Purification is always painful but the citizens of the country are ready to pay the price for a better tomorrow. 2. Simple living and high thinking – Instead of simple living and high thinking, the new mantra of the modern generation is high living and low thinking. Shameless acceptance of corruption and ostentatious display of wealth have become the latest craze. Simple living is unfashionable and high thinking is outdated. Lust for goods and greed for money have converted us into heartless beasts. We are wallowing in the filth of materialism like dirty prigs. Let us hope that this master stroke will bring us back to the era of honest living and lofty thinking. 3. Cut your coat according to your cloth – Needs are limited. Greed is unlimited. Political offices and government jobs are no longer passport to social service. Rather they are legal licenses for indulging in all sorts of wrongful practices. Vulgar display of wealth in royal weddings, buying of luxury vehicles by panchayat representatives and petty government officials, purchasing of expensive bungalows in posh localities of different towns, cities and metros, mad rash for gold ornaments, jewelry and bullions – all narrate the shameless saga of corruption and black money. Once the party funding becomes transparent, benami transactions are curbed and the economy goes cashless, people in power and position will learn the lesson of moderation and living within their means. 4. Small is beautiful – The notes of smaller denominations like Rs 100, Rs 50, Rs 20 and Rs 10 felt very much ashamed, humiliated and belittled before their big brothers. But today, they have become the hot favorite of the people. Suddenly their value has been recognized and their worth has been realized. So don’t look down upon anyone. You do not know who will come to your rescue in times of need. Generally ordinary people lend you a helping hand in extraordinary situations. Hence never under estimate the power of common man and small currencies and coins. We are highly indebted and extremely thankful to our honorable Prime Minister for dealing a severe blow on the unholy nexus of politicians, bureaucrats, criminals and mafias and giving the ordinary people a chance to bask once again in the glory of principles, values, ethics and morality - the ideals which India stands for.